that was immensely difficult, this next quest to type 10 000 individual posts with different text will be much more challenging! I know. doesn't make it less difficult to accomplish. Of course it's easier to do the second time around. You know now that someone else can do it. When you don't know if it can be done, then it's way harder. There was that one dude who climbed Mt. Everest. For hundreds/thousands of years, it had never been done. Now people do it all the time. 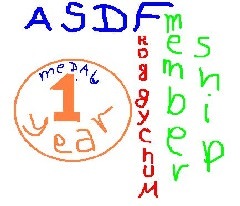 assdef wrote: Of course it's easier to do the second time around. You know now that someone else can do it. When you don't know if it can be done, then it's way harder. They also, unfortunately, fail all the time because they underestimate the effort and preparation required. True. But that's because those people are stupid. only 9931 more to go!